One of most fun holidays of the year is approaching; Halloween! It’s safe to say it has officially become socially acceptable to dress your pet in the cutest or most ridiculous costumes that you can find! We love our dogs in costumes, so no judgment from us here. After looking at these furry friends in their costumes, you’re going to be running to buy a pet costume, and we don’t blame you! It comes with the season. How adorable is this?! Perfect for tiny dogs. Do you have girlfriends that are dog moms as well? You guys can try coordinating costumes too! I mean, how original is that? Another unique costume for the win! So cute and different. Dressing up your doggy in cute cartoon characters is a thing! The iconic Halloween figure. Can’t go wrong with being a ghost! 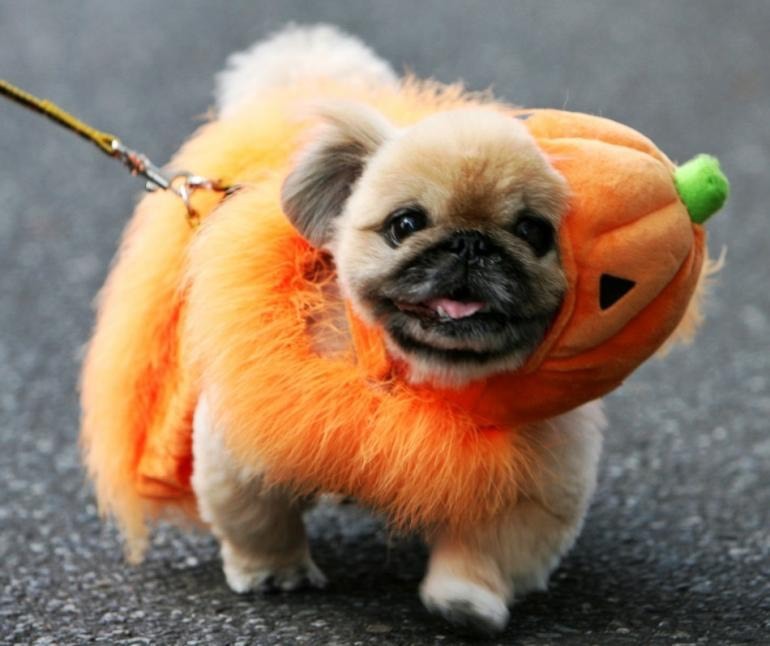 Remember when dressing your pet in a costume, always be sure that they have room to comfortably move around. Check out our FREE business funding guide!